Looking for a great home at a very economical price? 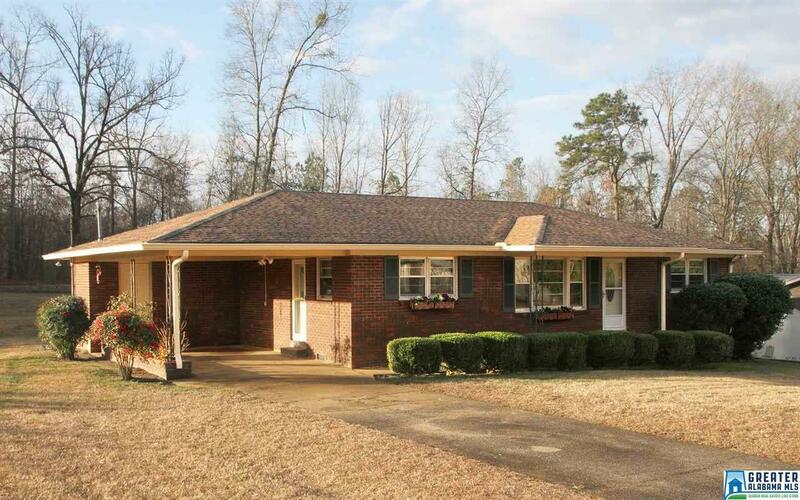 This could be it- This lovely full brick mid-century home sits on a large lot and is in top notch condition-HVAC, gutters, roof and exterior paint are around a year old. All new paint throughout the interior, new carpet in living room and bedrooms, new tile, vanity and light fixtures in the bathroom, brand new stainless appliances and beautiful granite countertops have just been installed in the kitchen. This home is in better-than-new condition. We seldom see homes like this in this price range. It won&apos;t be on the market long- come check it out! Driving Directions: From Anniston, North On 431, Turn Right Onto Toney Street (Which Is Right Across The Highway From Hillcrest Baptist Church). Go Aprox 2 Blocks And Turn Left Onto Rhodes Street. Watch For Sign On Left.